MMG’ s roots are in farming— we’re here to protect all your hard work with a wide array of Farm Owner Insurance coverages. Anyone who farms the land for a living knows all too well how difficult raising crops and livestock is. You’ve taken big risks, making significant investments in your property, purchasing the best breed of cattle, tending to your orchards for years before seeing the fruits of your labor. You’ve put so much time, money and effort into your operation. The last thing you need is to worry about whether you have the right insurance to protect your business in the event of a loss. It’s hard enough to make a living, especially when one storm, one serious accident or problem with livestock can have such a devastating impact on your farming operations. Protect your piece of the world with a Farm Owner Policy from MMG Insurance. Our program covers all of your insurance needs in one comprehensive, competitively priced policy. In fact, we can provide coverage for almost any type of farming operation, from orchards and berry farms to maple sugar operations and dairy farms. Your policy can include coverage on your primary dwelling and its contents, farm buildings, personal property, machinery and livestock, as well as provide personal liability coverage. 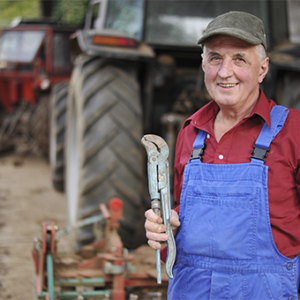 Whether your type of farm is eligible. How you can tailor the policy to meet your specific needs with a wide range of available endorsements. The Farm Valu-Pak, which provides a wide range of coverages for a nominal annual premium.